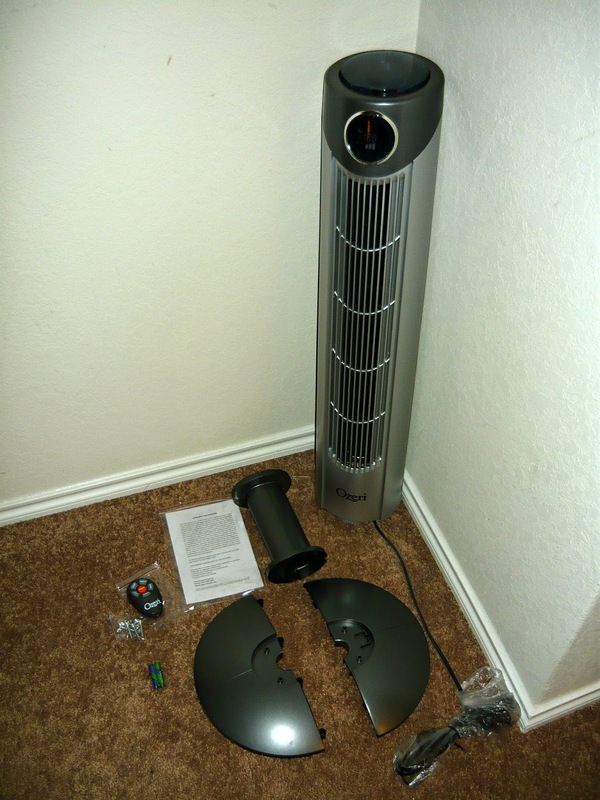 The latest product sent for reviewing purposes was an Ultra Wind 42" Adjustable Oscillating Tower Fan. Isn't it pretty?? When was the last time you thought that about any fan? 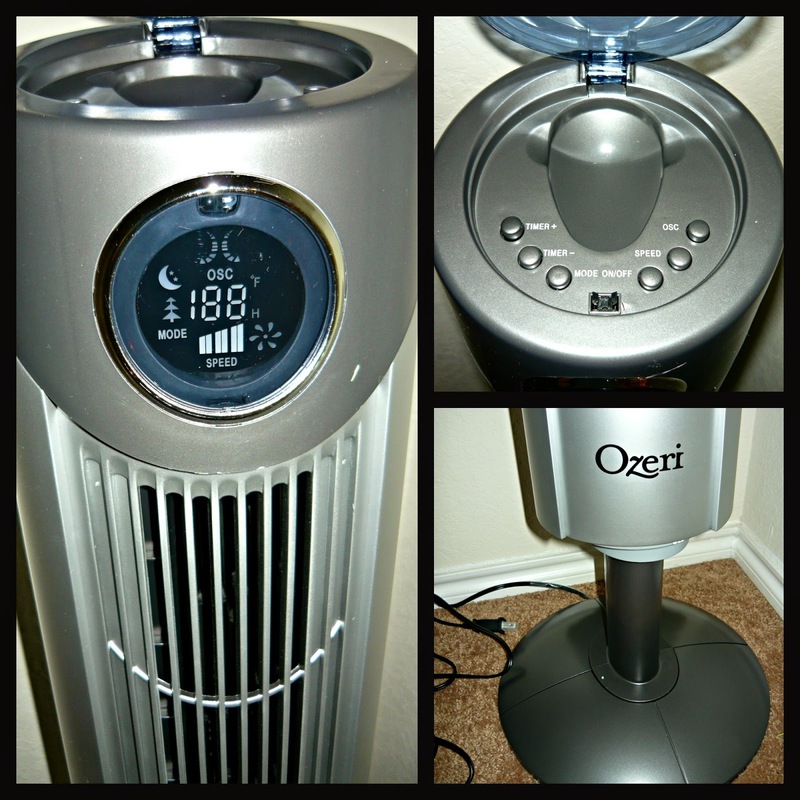 Includes base extension for adjustable height from 32" to 42"
Ozeri did it again. They are extremely innovative when it comes to their products. This fan is by far the best fan that I've ever owned. It's very attractive and works very well. 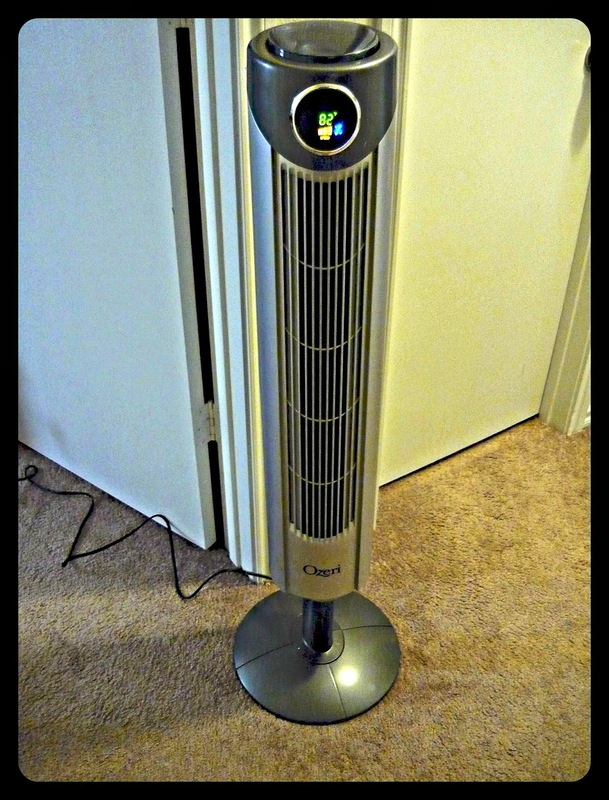 My favorite things about this fan are the fact that I have the option to adjust it from 32" to 42", it is very quiet when on any setting, it has an easy to read good sized LCD screen, it oscillates, and it comes with a handy little remote that works from a pretty far away distance. Also, I can always push the buttons on the top part of the fan if I don't want to use the remote. I like outdoor mode too because the air flow pattern that happens when this option is chosen goes from a light breeze to a stronger breeze to a light breeze...you get it, right? The breeze feels really good and smooth, not too strong, not too weak. It's very soothing and relaxing. I put the fan in one corner of the room and can feel the air flow from the other side, no matter what setting. If I turn on Oscillate, it circulates the air around the entire room and definitely keeps it cool. Having a timer available is also great so that I can have it automatically shut off at any time I choose, in hour increments, of course. It's also pretty nice how it shows you the current temperature of the room that you are in. I can use this fan in virtually any room, as it is not very wide and doesn't take up much space. Is there anything that I don't like? Now, I love the fan, I really do, but I could see a few things that could benefit from a few improvements. 1--the base extension is a bit thin, and the actual base is not very big, and being that this fan is not entirely light, it might fall over. This has not happened at all with mine, but I think that on some people's carpets, this might occur, since it is harder to balance something of it's size on such a small base. 2--this is not a necessity, but it would be great if this fan also had a heating option. I think that even more people would purchase if it could be used to heat a room as well. 3--I wish that there was an option to turn off the beeping sound, so that way if I'm trying to change a setting when my other people around me are sleeping, I won't disturb them. 4--there is a night mode that supposedly dims the lighting on the LCD screen, but it doesn't look all too different from the regular mode in my opinion. Not a big deal though since I don't think that the lighting is too bright to begin with. Would I recommend this fan? Very much so. In fact, I wish I had one in every room of my house. That would be perfect! I think that this would be perfect for any office or bathroom too. Oh yeah, and good for a nursery because you can set it on a low setting and it also wouldn't make much noise to disturb the baby. That noise reduction feature it has is definitely one of the best things about it. Nothing annoys me more than not being able to hear what I'm watching on tv because the fan is too loud! 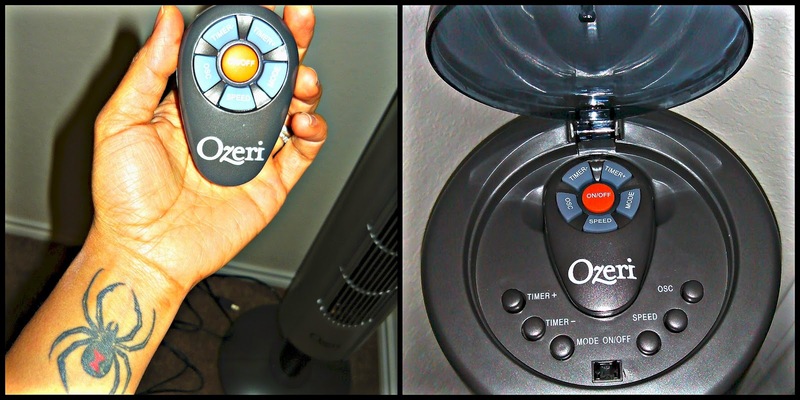 You can purchase the Ozeri Ultra Wind Oscillating Fan on Amazon.